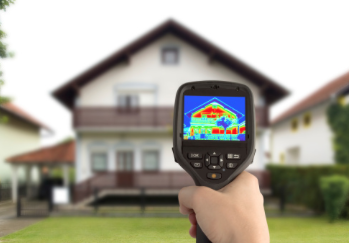 Infrared thermography imagery is a fast and accurate way to find suspect areas around homes and businesses where electric efficiency is less than ideal. In an innovative approach, Colorado electric co-op Gunnison County Electric Association has provided IR energy audits to its members since 2011 and it continues to offer this service today. Not only can the IR audit solve efficiency issues in residences and businesses — like improper or missing insulation in ceilings and walls — it can find other issues not related to the building construction or insulation. GCEA’s energy use specialist Alantha Garrison reports that IR audits have also discovered radiant in-floor or in-ceiling heating systems that the member did not know existed. High electricity bills can be of concern for many consumers, and GCEA uses these high-tech energy audits to help find problem areas that can contribute to that issue. These audits help inform members as well as lower their bills.